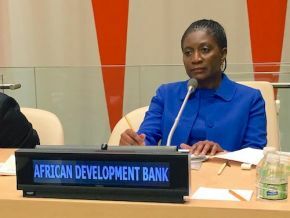 The Board of the African Development Bank has approved the Central Africa Regional Integration Strategy Paper 2019 â€“ 2025, adopting the Bankâ€™s multinational operations in Central Africa over the indicated period. The Central Africa Regional Integration Strategy Paper (RISP) for 2019 â€“ 2025 builds on the lessons learned from the implementation of previous regional development initiatives. It also lists the Bankâ€™s plans to accelerate intra-regional trade, inclusive economic growth and structural transformation of the Central African region. It will guide the Bankâ€™s regional operations in seven member countries of the Economic Community of Central African States (ECCAS), namely Cameroon, Chad, Congo, Equatorial Guinea, Gabon, Democratic Republic of Congo (DRC), and the Central African Republic - a combined population of some 130 million people. The cooperation, integration and economic development goals of the 2019 â€“ 2025 Central Africa regional strategy will be achieved from the basis of two pillars: the first strengthens regional infrastructure (focusing on electricity networks, transport and ICT), while the second supports reforms for intra-regional trade development and cross-border investments and builds the institutional capacity of regional organizations, especially ECCAS and the Economic and Monetary Community of Central Africa (CEMAC). In 2018, the GDP growth rate in Central Africa doubled to 2.2 % from 1.1% in 2017, but remained below the sub-Saharan average of 3.5%. The regionâ€™s growth was driven primarily by global commodity prices, principally oil. Other countries within the ECCAS region continued to grapple with the vicious circle of instability and fragility, weak human and institutional capacity, and infrastructure deficits in the transport, energy and ICT sectors. â€œCentral Africa has significant oil resources, deposits of precious metals and minerals, huge transboundary water resources, and the continent's greatest hydropower potential. Implementation of the Central Africa integration strategy will encourage regional and national authorities to ensure that cross-border programs and initiatives are embedded into public resource planning and administration,â€￾ said Ousmane Dore, Director-General of the Bankâ€™s Central Africa Regional Development and Business Delivery Office. â€œThe African Development Bankâ€™s ongoing support for Central Africa is crucial for the successful economic integration of the countries in the region. The new Regional Integration Strategy Paper continues this tradition of supportive interventions in critical economic sectors. Ultimately, it will be a huge boost to intra-regional trade and a much needed structural transformation of the policy and business environment,â€￾ said Moono Mupotola, the Bankâ€™s Director of Regional Development and Regional Integration. The RISP is in conformity with the Bankâ€™s new Regional Integration Strategy Framework (RISF) which was approved in March 2018, and the Ten-Year Strategy of the African Development Bank Group (2013-2022). It also aligns with the regional priorities from ECCAS and CEMAC and the Bankâ€™s High 5 priorities.